Secure Self Storage in Norwalk | Units Starting at Less Than $3/Day! Sign up with us now and save big on select units starting at less than $3 a day. Your search for quality storage in Norwalk, CT, is over! Secure Self Storage’s newest location is now open. 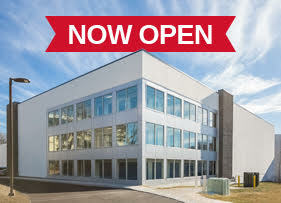 Our state-of-the-art facility is conveniently located on Route 1 (Connecticut Avenue) at Keeler Avenue. As the Northeast’s industry leader, Secure Self Storage offers secure, climate-controlled facilities to protect your belongings—all at an affordable price. Like all other locations in our network, our new Norwalk facility offers a wide range of unit sizes, from mini storage lockers that fit a closet’s contents to garage-size self storage units for homes and businesses. Our new Norwalk location features 24-hour surveillance cameras and security, on-site staff and climate-control technology to battle Connecticut’s varying temperatures. Interested in our rates, specials or reserving unit? Contact us today or stop by our location. Google Rating: 5 out of 5 stars based on ‎4 reviews.